Together they worked to consider Rachel’s opportunities and the investment that would be required with each. She had several different ideas in mind, but when the Harvest House Restaurant closed and went up for sale, she knew this was the one. The pair discussed the advantages and disadvantages of a 32-seat diner versus a 100-seat full service restaurant and the amount of work and resources that would be required. Rachel made the decision to move forward. She approached the owners who were helpful in providing excellent records and offering to stay on board to help her get the operation up and going again. Larry helped Rachel develop the necessary business plan and financial projections in order to secure financing from Franklin Savings and the U.S. Small Business Administration. She was approved for the loan and became the owner of the new Farmington D in July 2018 and opened the restaurant in September 2018. 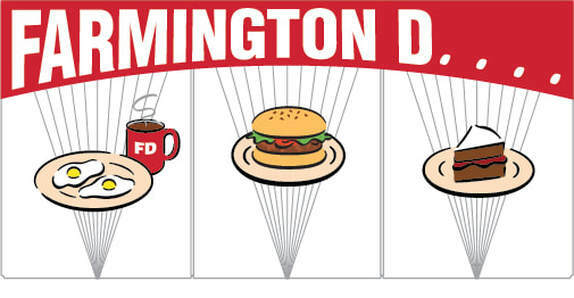 The Farmington D is located at 367 Wilton Rd. Rachel hopes it will be both a stimulating local gathering place and a refreshing stop for highway travelers. Their menu offers diner favorites with a focus on as much locally sourced fare as possible. To follow this growing Maine business, visit their website.